This is one of the designs from our very popular Felt Series. Our Mini Wreath has been designed with alternatives. You will see in the photos, a Felt Colour Chart. 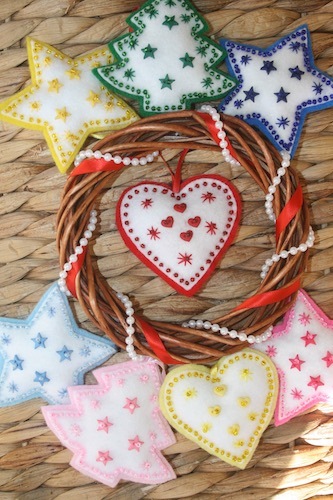 Please view the colours and in the box below type the felt colour you would like for your Decorations.